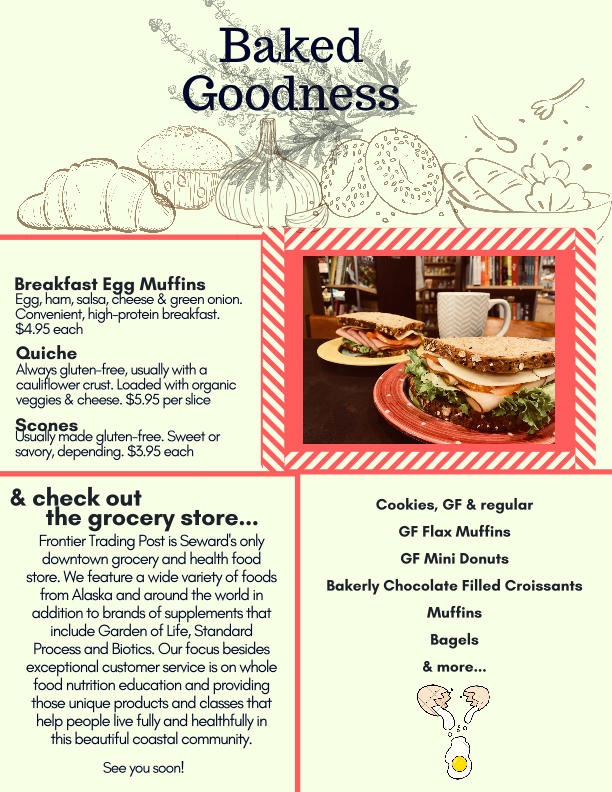 Deli: Breakfast items include muffins, croissants, bagels, oatmeal, fruit cups, eggs and more. We will even do toast, seriously. Like a schmear? Our lox cream cheese spread is a staff favorite, and we slather it on! Ploughman’s Platter, super salads, sandwiches and wraps are grab and go from the display cooler and are great for hikes and picnics. Hot soups vary as well, from Miso Soup to Tortilla Soup, and on hot days, we have nourishing cold soups, too! Bulgarian, Russian, French and Italian cold soups. YUM! 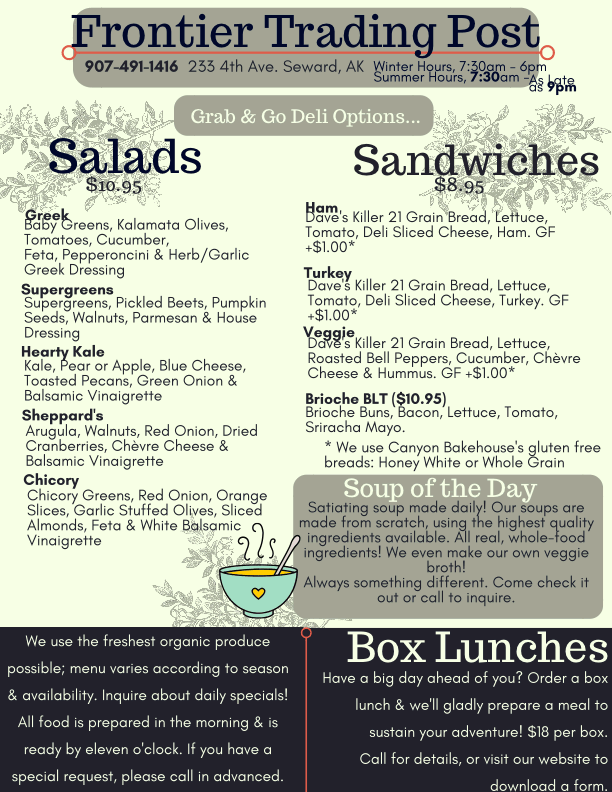 Come in and enjoy delicious food on the go! 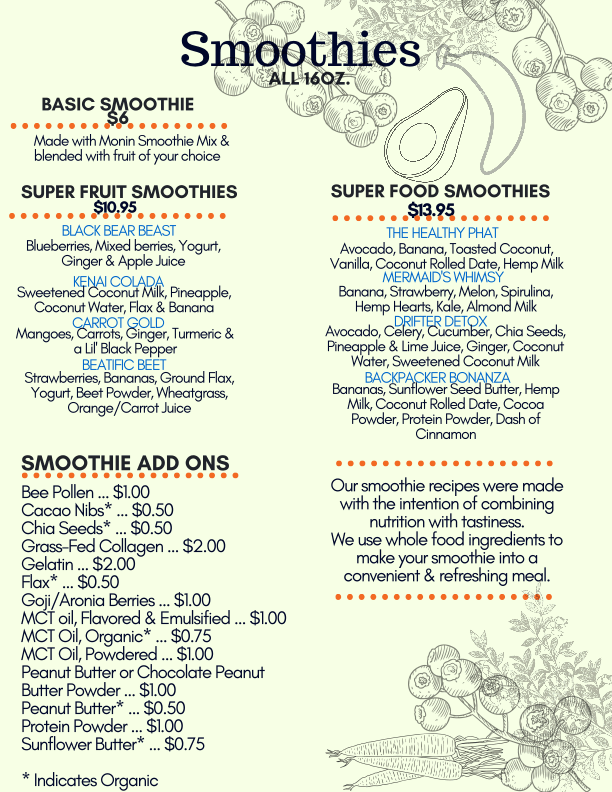 Have a look at our menu below. Coffee Shop: Full service espresso bar with organic espresso. 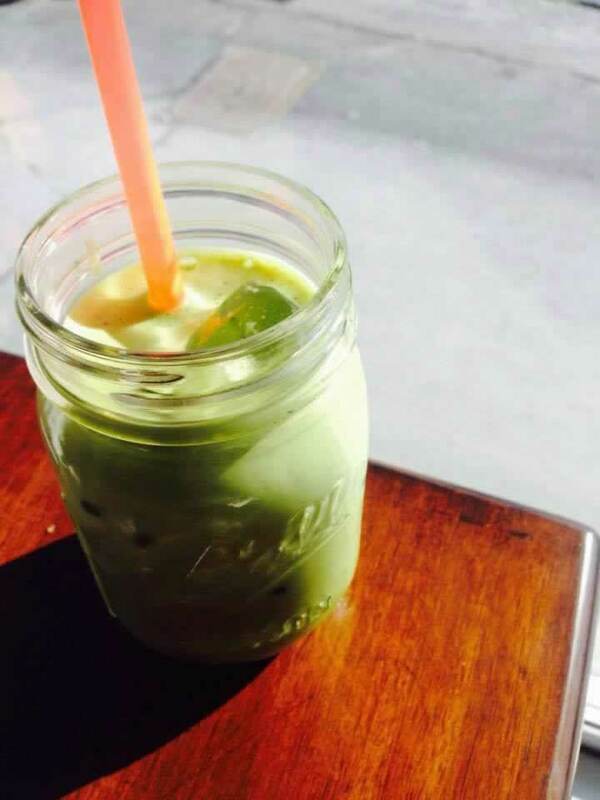 Keto coffee, matcha, chai, extraordinary selection of organic teas. 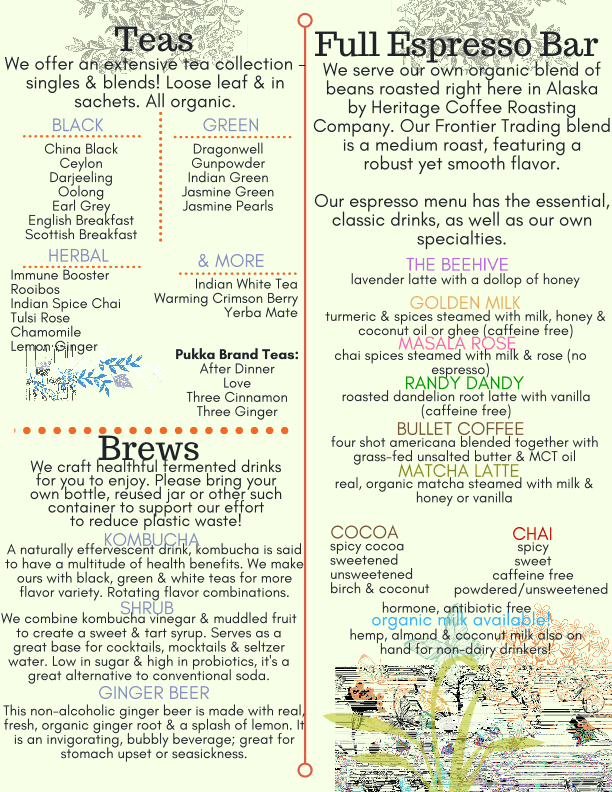 Organic milk and cream, plus non-dairy alternatives available. Hot and cold beverages. Great smoothies. Our experienced baristas can make any espresso drink. 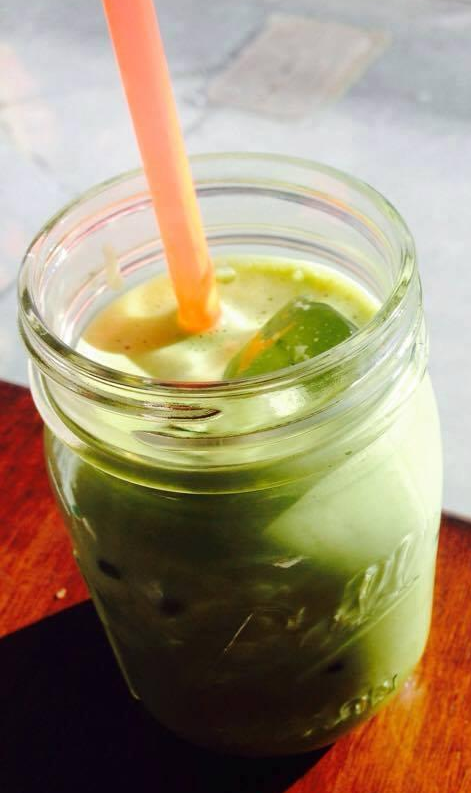 We also offer specialty lattes use a variety of ingredients from Matcha and Masala to Lavender and Turmeric.